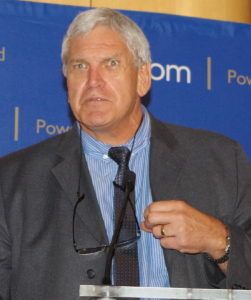 Eskom’s chief operating officer, Jan Oberholzer, has been appointed onto the board of directors of the Electric Power Research Institute (EPRI). A seat on this board gives Eskom direct access to some of the most cutting edge energy research available, and offers the company a position to influence EPRI’s strategic direction and work programme. Phakamani Hadebe, Eskom’s CEO, in congratulating Oberholzer on his appointment, said that this opportunity will help him to serve the broader energy industry over and above his responsibility of serving Eskom and South Africa. EPRI is an independent, nonprofit organisation for public interest energy and environmental research, which focuses on electricity generation, delivery, and use in collaboration with the electricity sector, its stakeholders and others to enhance the quality of life by making electric power safe, reliable, affordable, and environmentally responsible. EPRI’s international participation extends to more than 30 countries, including South Africa. The post Eskom’s COO joins international research institute appeared first on EE Publishers.